My Life in Stills and Syntax: Do you know how I know I’m young?!? The other day I was reminded that I am (ugh) almost 30. That’s right, peterpan is getting older. This reminder led to a series of “Do you know how I know your old?” and “Do you know how I know I’m young?” statements. I, being peterpan, obviously was spitting out the latter of the two. A sampling…. 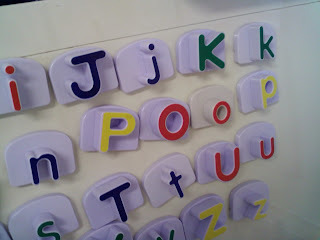 Because given the chance, I arrange magnets to spell things like poop. Because I have young people’s hair. Because I don’t clean my room. Because my body can handle a case of beer with impunity. Because momma says I listen to music too loud. Because I stay up late. Because my favorite foods are pizza and macdonalds. Because I still get carded to buy beers. Because I don’t own mom jeans like No-longer-Easy-E and KFBS (burn!). Because when I text I say stuff like omg. Because I wear flip flops everyday. Because I’m easily distracted by toys and/or shiney things. Because I giggle when someone says “duty”. Because I have a thumb ring. There is nothing wrong with going to bed at a reasonable hour. By your standards I've very old. They really own mom jeans?